Can anyone give me advice on other ways to mount a onepiece frontend and still utillize the tilt. I still have the gas tank up front and do not want to clamp to the front beam or use that old school front bumper. Has anyone used the two front bodymounts to do this ?. My bug has a bodylift so there is a little room there on top of the balljoint front beam. Welcome aboard, by the way!!! I didn't use the tilt when I did mine. I don't like the goofy aftermarket bumper, either. I made my own. I use two cotter pins to secure mine to pins on a plate welded to the front bumper from underneath, and Dzus fasteners on the sides. Most guys cut the fenderwells out of the car, too, but I kept mine, and they fit fit snug up against the inside of the 1pc. to keep the dirt and crap out of my gauges. You could probably do something similar with a hinge on the plate instead of the pins if you wanted easy access to the gas tank. You could also cut a hole in the f/glass for access to the tank, too, if you didn't want to lift it to fill the tank. I'm sure someone here will post a picture of how they did that. 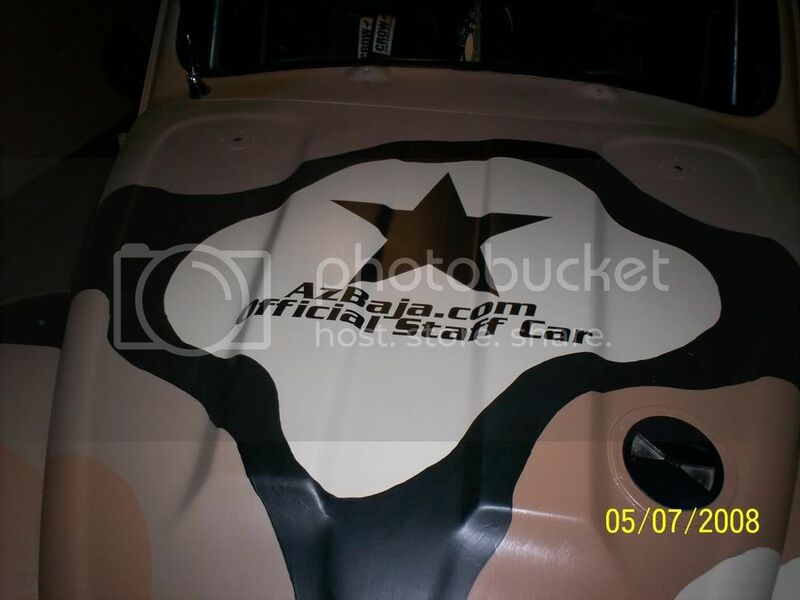 look at some photo's of my baja and you can see the hole in the hood I use to put gas into my baja. I recognize that cap!!! It's a motorhome sewer access cap for the bottom of the dump compartment. I've got those at work. Clever use James!